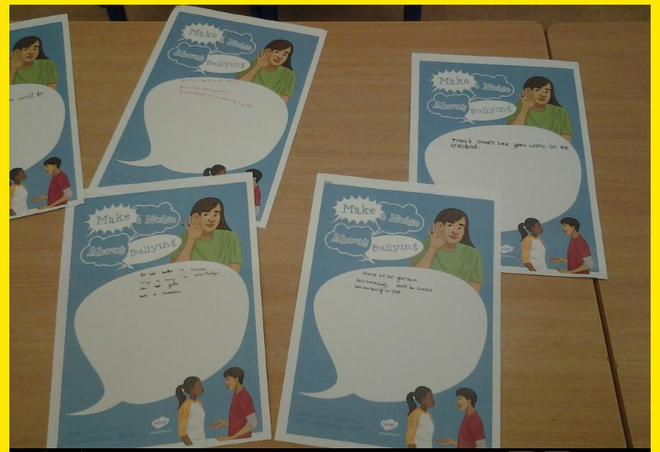 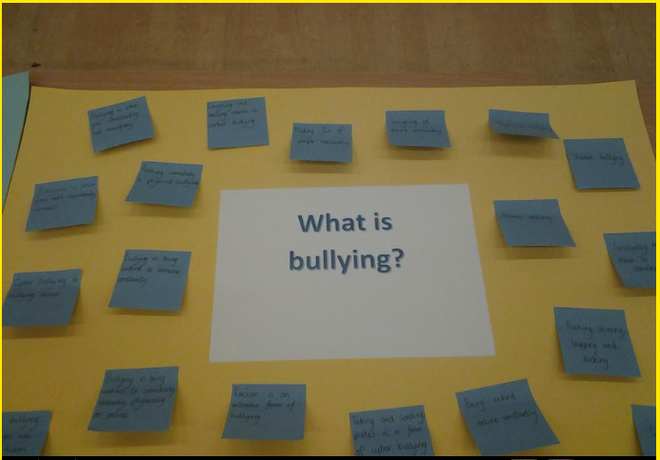 Over this week, every child in school has learnt about bullying centered around the national theme of "Make a Noise About Bullying". 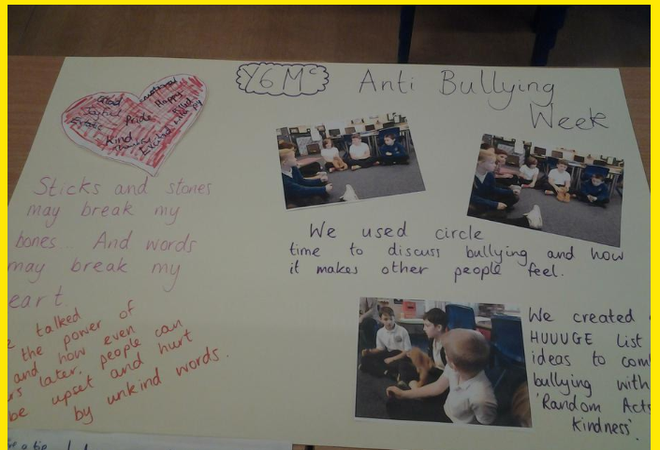 We have had assemblies, circle times, songs and challenges in school to raise awareness of bullying and kindness. 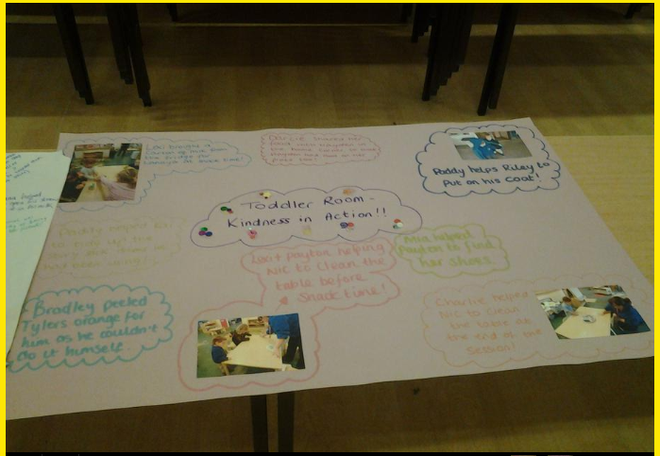 We shared our lovely learning with parents on the Friday afternoon in the hall. 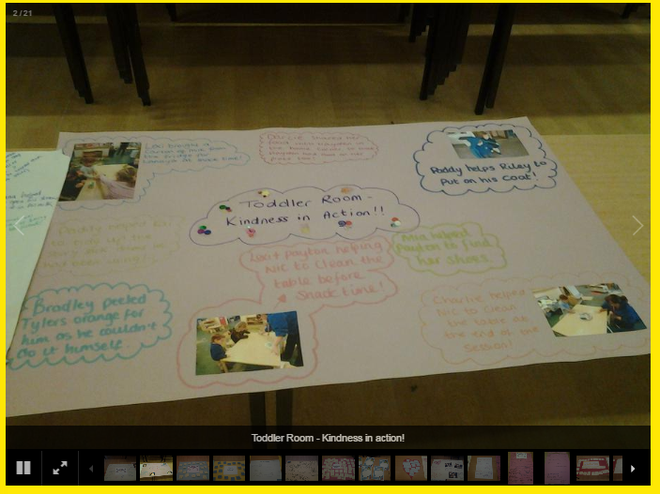 Take a look at some of the pictures to see what we have done. 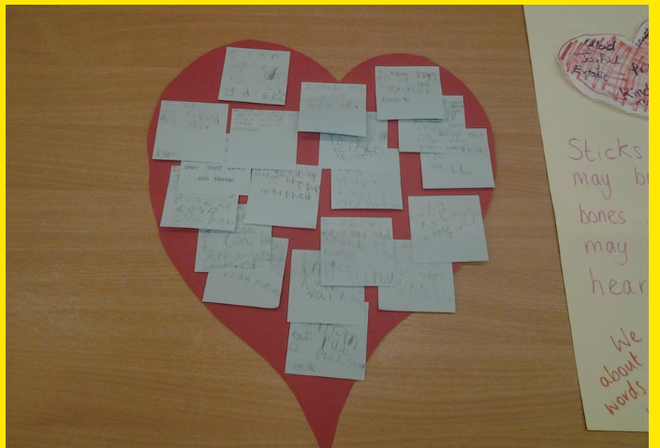 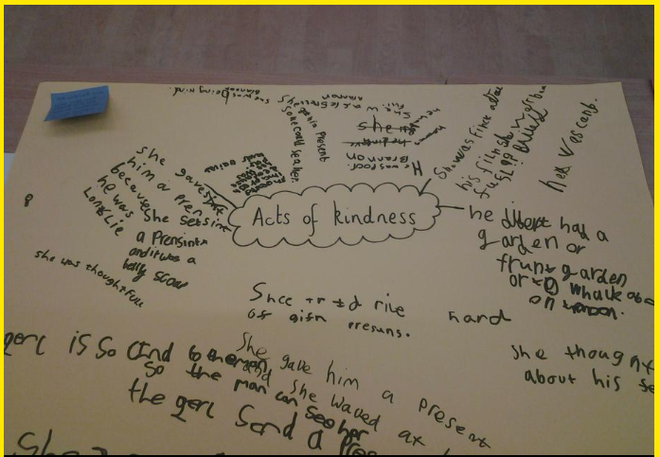 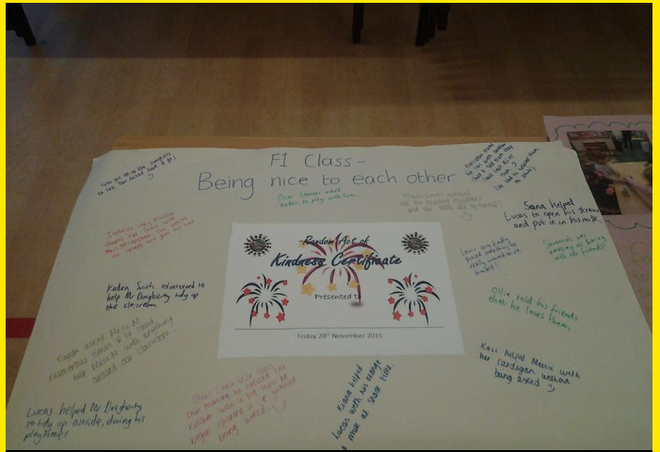 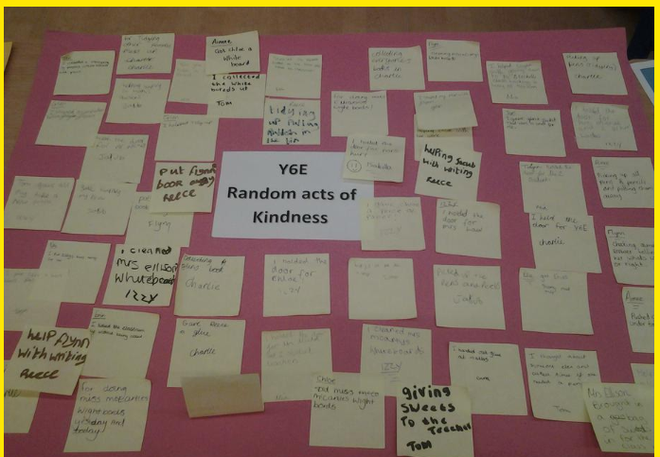 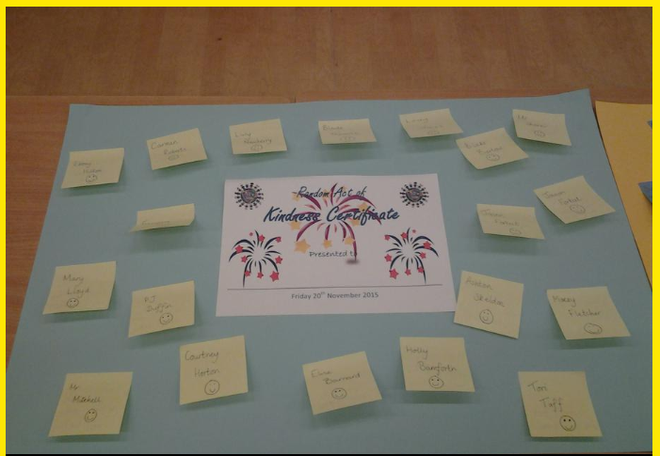 Can you spot our "Random Acts of Kindness"? 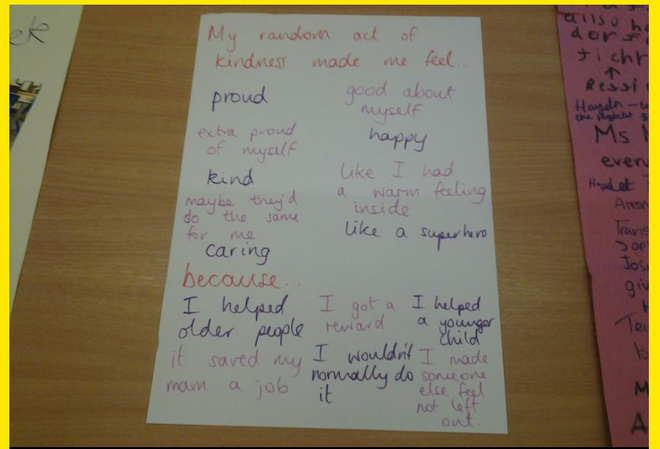 Every child (and even some adults!) 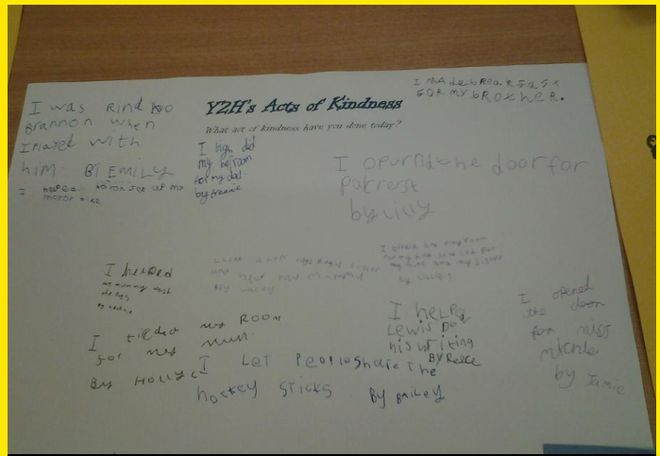 who performed their act of kindness earned themselves a certificate.